This is a short video announce for the new video tutorial "ANEMONE". Click now to watch! Hello and welcome to The Silk Flower Artist ! Today I'm going introduce you the latest video tutorial how to make silk flower "ANEMONE". ​With the exact color recipes of Professional liquid dyes you will be able to produce the same result as me. - HOW to hand dye every petal, leaves, calyxes. - ​​HOW to shape parts of the flower, using professional flower making tools. - HOW to assemble petals in a stunning piece of Art. YES. 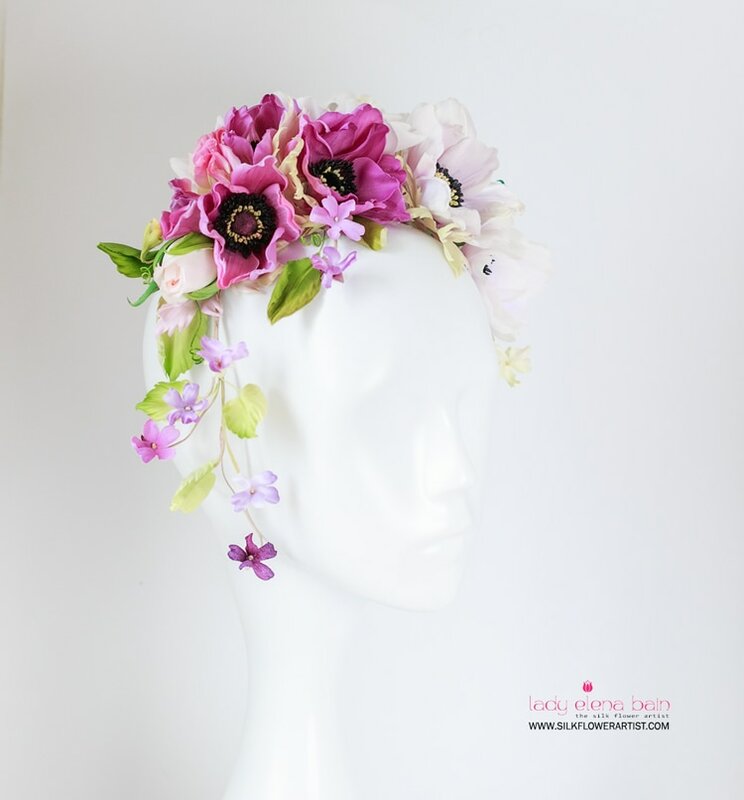 There are many ways to make silk flowers, but to create distinctive silk flowers you need specific instructions in working with fabric, cutting patterns, painting silk, using specialized tools and indeed inspiration. 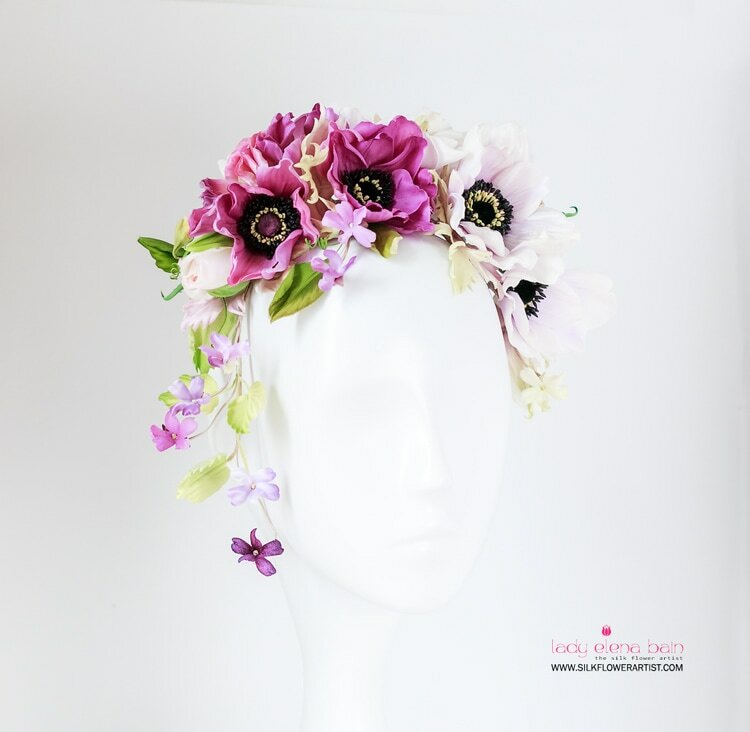 You will learn two different coloring methods to make the Raspberry Pink and the Pale Purple Anemone from my Hand crafted Silk ANEMONE CROWN. ​I'm delighted to announce - the new video tutorial "ANEMONE" is now available for the true lovers of the Art! ​Enjoy creating! 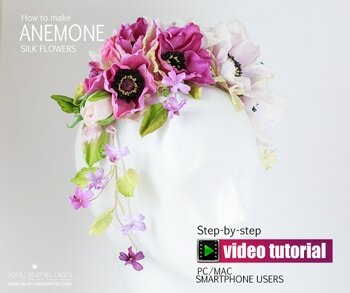 ​Get your copy of the video tutorial ""ANEMONE"
and start creating within ​minutes! 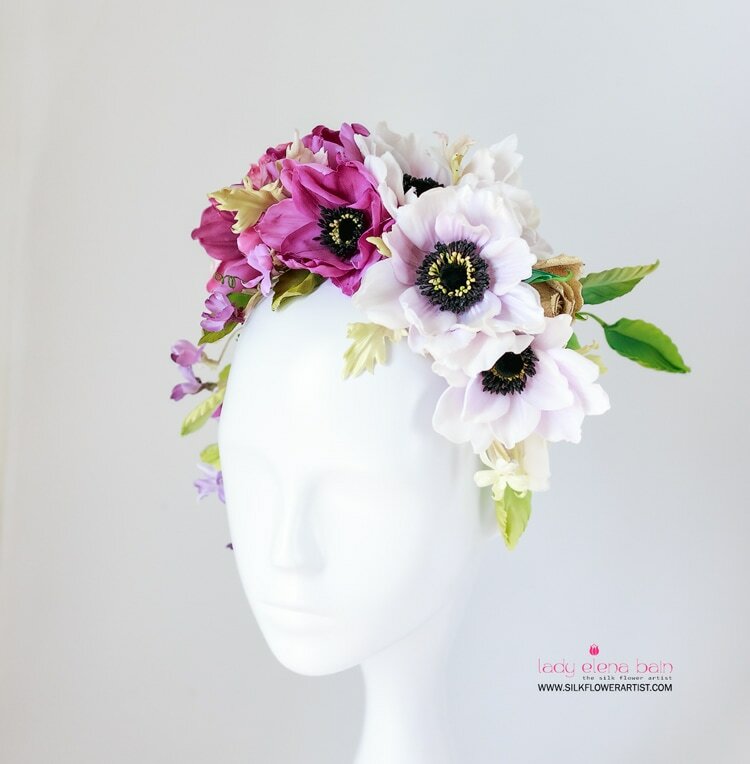 Make your first silk ANEMONE TODAY !